This Superfine Dandelion reissue is one of the more compelling installments, if only for Dixon's liner notes. Imagine a Valley music scene where bands are allowed to play 'til three in the morning like normal cities. And how's this for lost innocence? The Doors share a bill with the Superfine's earlier incarnation, The Mile Ends, in 1966. After the Fifth Estate gig, Jim Morrison and company wind up at rhythm guitarist Richard Mickel's house for a keg party. The most mischief the Lizard King got up to there? Pulling blues records out of Mickel's sister's room! 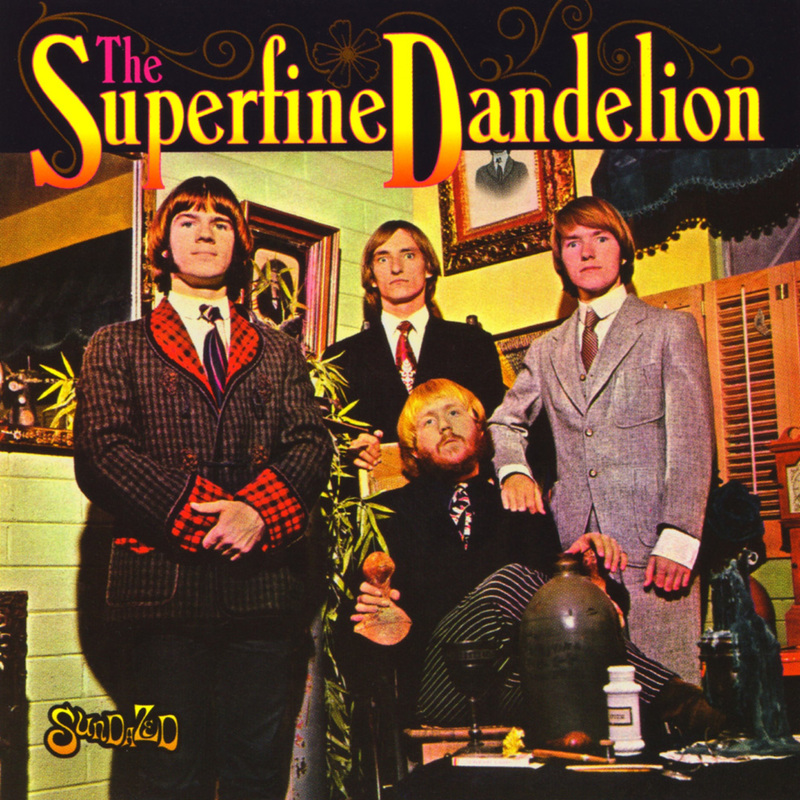 The first four cuts on the Superfine Dandelion CD make up the entire recorded output of the Mile Ends (also issued as a separate Sundazed vinyl EP). Said to be one of the best live bands in Phoenix, the Mile Ends started out in that transitional pop year of 1966 as British R&B wanna-bes playing American covers. Here was a teen group with enough smarts to rock up Them's jazzy "Bring 'Em On In" and enough dumb luck to piss off Double Shot Records by changing one word in Roy Orbison's "Candy Man" (singer Mike McFadden decided to croon "let me grasp you by the hand" instead of "take." The nerve!). The EP leaves off at the point where the Mile Ends morphed into the Superfine Dandelion for the mystical "Ferris Wheel." Hearing this sitar simmering single, one is reminded about how Ravi Shankar sheepishly giggled when asked what he thought about the playing on "Norwegian Wood." Mickel's sitar playing is no more laughable than Beatle George's; thankfully the Dandelion chose not to incorporate any barely digested Eastern philosophy into its lyrics. 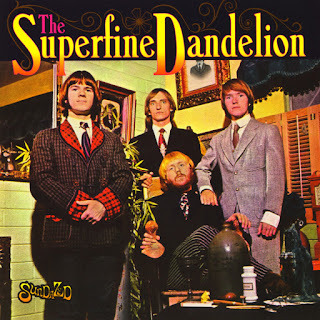 The Dandelion's only long-player, issued on Mainstream Records in late 1967, found the group moving toward a hybrid of Byrds/Youngbloods country rock and the good-time jug-band music of Lovin' Spoonful and Sopwith Camel (dig the dueling stereo kazoos on "It's Raining"). Lyrics, however, weren't the Dandelion's strong point. Take "Shameful Lady," a rewrite of the Byrds' "Girl With No Name" with Chris Hillman's same lame "name/game" rhyme, while "Janie's Tomb" pits the identical declining bass line of the Kinks' "Sunny Afternoon" to a morbid vaudeville number about a psycho who kills his girlfriend and then marries her. The Superfine Dandelion's best moments come when it steers clear of the psychedelic dissonance of "The Other Sidewalk" and keeps things simple. The band's twang and jangle leanings seem to anticipate the "desert rock" sound of the Gin Blossoms, particularly on "Don't Try to Call Me," the kind of song that could coax a free beer from any Long Wong's patron even today. 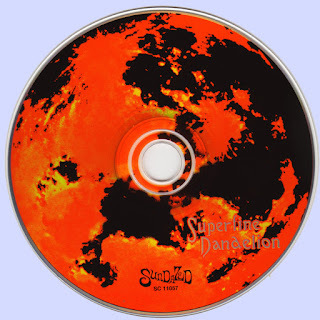 The most recent track is a 1968 demo which finds the band mastering acid rock and ready to change direction again. "Mr. and Mrs. Potato Head" is a heavy anti-establishment rant that's as funny as Zappa's best work with Mothers ("Mr. and Mrs. Potato Head/Sleepin' in a box at the foot of my bed/Waiting all morning, waiting to rise/Waiting for someone to stick in their eyes"). Yet just one year after the Summer of Love, the Dandelion scattered into a few more short-lived bands. Most notably, Rick Anderson helped start the Tubes (of which he's still a member), while the late Ed Black did high-profile session and road work with Linda Ronstadt and Karla Bonoff.